Once again, Ebe Dancel shows how he likes Ben&Ben. "I'm a huge fan." These were words from Ebe Dancel's tweet on Sunday as he shared a video of himself swooning over Ben&Ben's hit song "Maybe The Night." In jest, the "Bawat Daan" singer even asked the band if he can be one of their front acts. To their response, the nine-piece band seemed to reject Ebe's proposal. Instead, they want to collaborate with the OPM icon in a song for it is the band's dream. 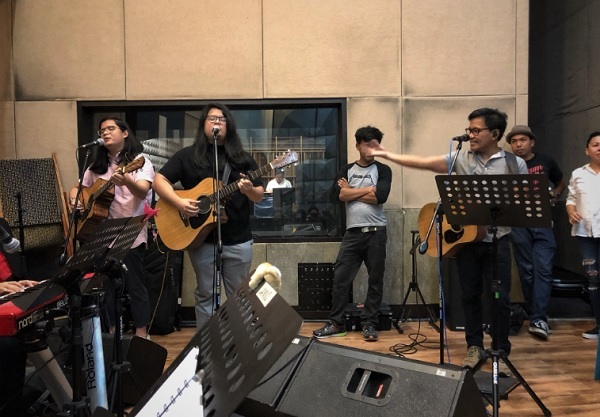 Ben&Ben, on the other hand, has been seen doing covers of Ebe's songs like "Burnout." Looking forward to an official collab project between the two artists? Comment below!